A smiling face with large oval eyes and open mouth. Upper teeth are shown. 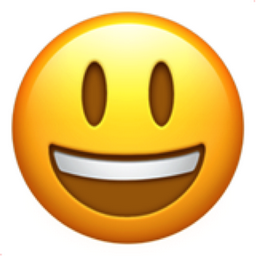 Very similar to the Grinning Face emoji but with more excitement expressed through the eyes. Happy Face with Open Mouth. Wide eyed happy face.